Lovely, soft parka from SIXTH JUNE. 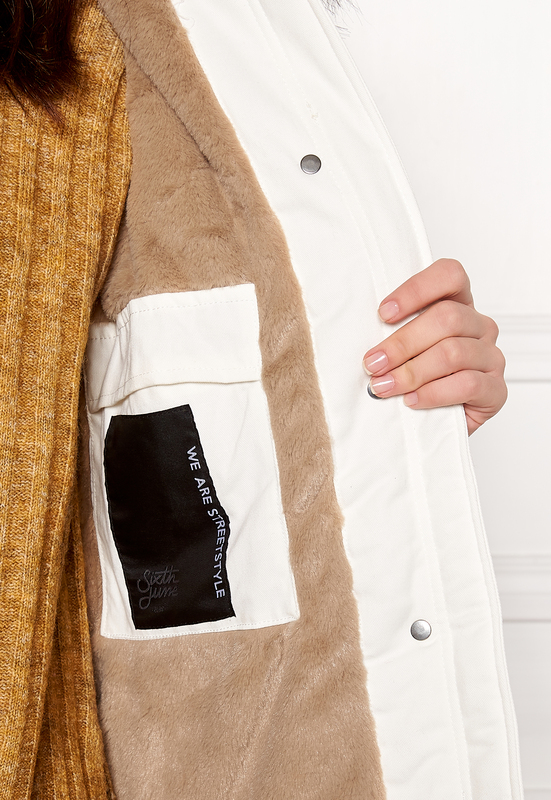 The parka has a cozy faux fur lining, which gives it a nice fit. 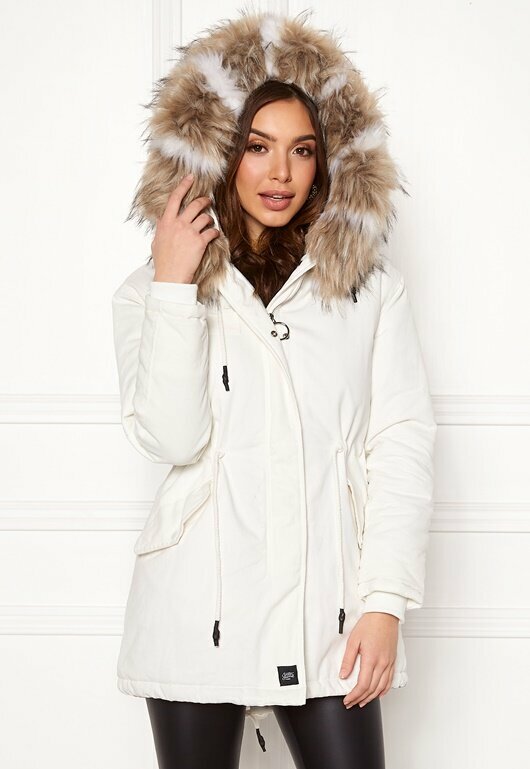 - Nonstretch, woven quality - Hood (non-detachable) with faux fur (detachable) - Two buttoned front pockets - Zippered sleeve pocket - Drawstring waist - Zipper and snap closure - Inner pocket - Cuffs - Fancy rivets at lower back - Drawstring at lower hem Back length from shoulder 83 cm, bust 102 cm, sleeve length from shoulder seam 55 cm in size S. The model is 171 cm tall and wears a size S. Dry clean only.